Our Dentistry of Colorado – Westminster office is conveniently located on Wadsworth Blvd. just south of 88th Ave.
We welcome the great residents that live in the nearby thriving communities of Westminster and Arvada. Our office, is on the ground floor and offers a relaxing atmosphere with a comfortable and cozy reception area. We always strive to give everyone who comes to our office an exceptional experience. We accept most all dental insurance plans. Discounts available on all dental treatments with our Dental Advantage Plan. We are accepting new patients too! Comprehensive oral health care encompasses more than filling a cavity. It is caring for your bite, gums, position of your teeth – your mouth as a whole. At Dentistry of Colorado – Westminster, patient-driven approach also takes your general health history into account. We get it, we’ve been in the dental chair too. There is absolutely no reason our patients should feel fear or pain because we are experts at sedation dentistry. For deep relaxation while in our care we offer oral sedation (a pill to relax you), IV sedation to put you to sleep, or nitrous oxide (laughing gas). Emergencies Happen – Call Us! If you have a dental emergency, we are just a phone call away. It doesn’t matter the time of day or night CALL US. You are important to us and we want to make it as easy as possible for you to maintain good oral health. To help fit your schedule, we have early morning and late evening appointments during the work week. We have weekend hours too! We are here when you need us. And to give you further comfort, we employ the latest technologies such as digital x-rays and intra-oral cameras to give our patients the least invasive treatment and quickest healing time possible. At Dentistry of Colorado – Westminster, we can handle any dental care needs you or your family may have. Anything from fillings, veneers, implants, crowns, oral surgery, orthodontics, root canals — or even gum problems, we have the experienced staff to meet your needs. We make maintaining good dental health easier because there is no need to make appointments all over town with different practices. Teachers - A Discount Just For You! We appreciate the teachers in the area who serve our families. 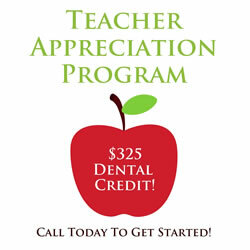 And for all you do, Dentistry of Colorado – Westminster offers all current and retired teachers a $325 dental credit towards your next visit and treatment. Love this place! Staff is always so nice and professional! Amazing staff and provider! Will recommend to anyone who needs quality dental care! Because we want you as a patient and part of the family for years to come, our approach is to treat only what is necessary to help you maintain good oral health throughout your life. We want to help you avoid future dental problems. If any type of restorative care is needed, we employ the latest technology to give you back your smile in the least invasive way possible. 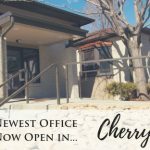 Stop in or call our convenient office anytime! We want to get to know you!